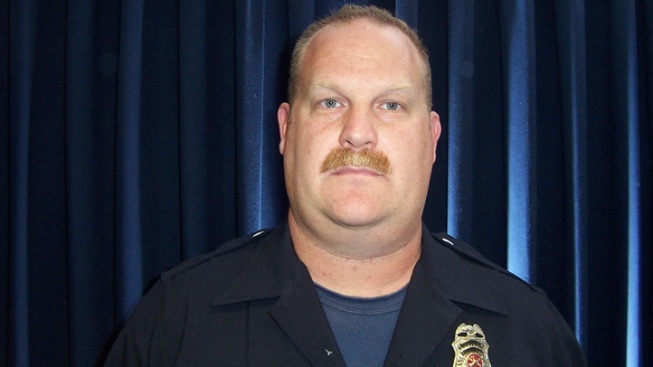 For 27 years he was a firefighter for the Contra Costa County Fire Protection District, but Capt. Jon Wilmot’s career comes to an end amidst intense scrutiny after his arrest on second degree burglary and grand theft charges. A judge has also granted a workplace violence restraining order against Wilmot, ordering him to stay 100 yards away from all 270 employees of the district, as well as district facilities. The NBC Bay Area Investigative Unit uncovered court documents detailing Wilmot’s bizarre behavior over the past eight years, alleging he stole from taxpayers, harassed coworkers and threatened the people he was sworn to serve. Police searched three homes and five cars belonging to Wilmot, and found expensive firefighting gear including uniforms and power tools. Click here for a PDF of Fire District Property Recovered from Search of Wilmot Property. Investigators also found 53 guns. According to the district’s petition for the restraining order, during the search of Wilmot’s homes, “a large cache of weapons and ammunition was recovered, many of which were determined to be illegal. During an interview with Wilmot after his arrest with investigators, and the search of his property, Wilmot “made several statements regarding his ‘bitterness’ towards the Contra Costa County Fire Protection District and its employees for the manner in which he felt he was treated,” according to the petition. The district began an internal investigation of Wilmot in May of 2012 after employees reported surveillance video and accounts of Wilmot taking fire district equipment that didn’t belong to him. Court papers further reveal multiple police reports involving complaints against Wilmot from the general public. He says the district did what it could and followed policy in its internal investigation of Wilmot and then its referral of the case to the authorities. He said he was not familiar with the details of the past 8 years of alleged erratic and threatening behavior by Wilmot. We ran into a man leaving one of Wilmot’s homes, but he told us his name was Brad Johnson, and claimed he was a friend of Wilmot’s. Based on a photo later released by the CCFPD, we confirmed it was in fact Wilmot who gave us a false name. His attorney’s office later called and asked us not to speak with him again. Wilmot posted his $30,000 bail and retired from the fire district shortly after his arrest in December. NBC Bay Area has asked the Contra Costa Employee Retirement Association to provide publicly available information about Wilmot’s pension payments. The Contra Costa County Sheriff’s Office tells us the case will likely head to the DA for review next week.